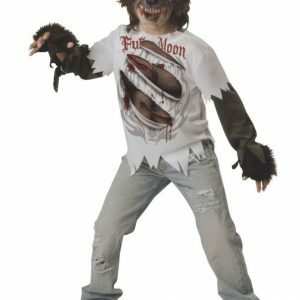 This werewolf costume includes a tattered shirt, deluxe fur hands, and quality mask with fangs. You will simply need to add your own raggedy pair of pants to complete the look! 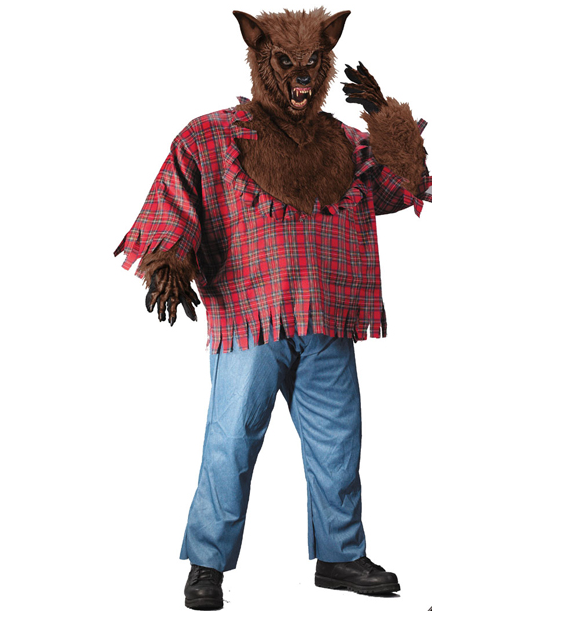 This is a plus size costume, fits size 48-52.